ALD, Jack and our family (not necessarily in that order). Our family started like something out of a picture book. Dan and I met in college and began dating 5 years later (THAT is a good story that I won’t bore you with now, but if you pour me a glass of wine I promise to share). I was an art teacher and Dan was working in finance. We fell in love, got married and when I got pregnanat we moved from our tiny apartment in Brooklyn to a four bedroom, center-hall colonial in Maplewood, NJ. The house and our lives were perfect. 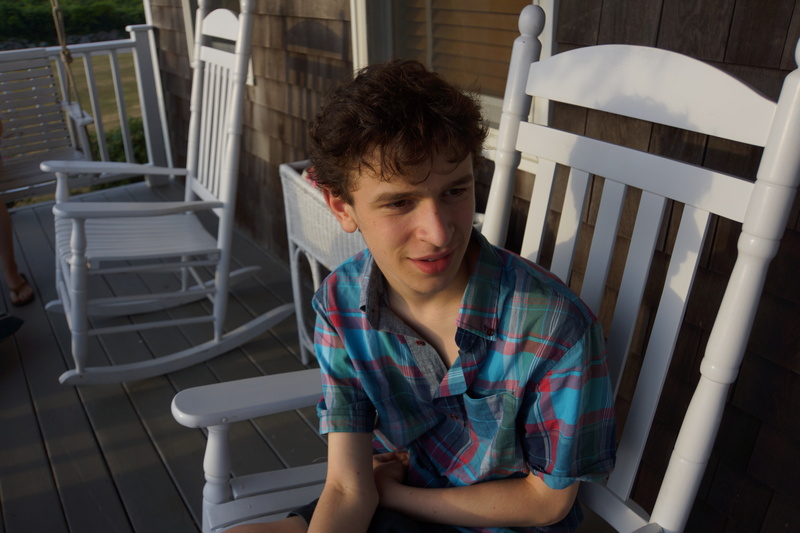 Jack was born healthy and strong in the summer of 1998 and his sister, Anna, arrived 22 months later to complete our family. Dan’s career took off which allowed me to stay at home with the kids and run an expensive photography business (expensive for us, not my clients). Both the kids thrived as they each completed pre-school and started elementary school. Our family started to slip into typical suburban life when in the fall of second grade, Jack started to unravel. It took months, a half dozen doctors and learning specialsts before we finally got the right diagnosis. Jack had Adrenoleukodystrophy (ALD). If you ever saw the movie Lorenzio’s Oil — it’s that disease. It’s a disease that (in the childhood form) generally only effects boys (usually between the ages of 6-10), and is characterized by the breakdown of the myelin in the brain. Without treatment the disease progresses quickly, stealing everything from the child before leading to death. The only way to stop ALD is through a stem cell transplant and on May 30, 2007 (just one month after his diagnosis) Jack received a transplant. He spent 100 days in the hospital that year and came close to death more than once, but he survived. The transplant worked and we brought Jack home in August, 2007. We thought stopping the disease and bringing Jack home would be the end of our story, but it was just the beginning. ALD stole a lot from Jack before the transplant did it’s magic. It stole Jack’s ability to talk and enjoy any amount of independence. He still has a tube in his belly for hydration and requires medication three times a day to live. He cannot bathe himself or feed himself or toilet himself. “Multiple disabilities” is what his school district calls Jack’s differences. I guess there is no simple way to describe his situation. It took our family a while to adapt to our new lives, but we’ve finally accepted our challenges. We’ve also learned to acknowledge our gifts — friends, family, health (we know a lot of other ALD boys who have not been as lucky as Jack), financial comfort (don’t laugh, having some extra $ does make things easier), and most of all Jack’s smile. ALD managed to take a lot from our family, but Jack never has lost his sense of humor or his beautiful smile. It’s his smile that keeps us going. That’s the “smile” in “Smiles and Duct Tape”. The “duct tape” is all the other stuff we need to hold our family together – family, friends, doctors, teachers, community, adventures, wine, etc. If you would like to read more about our family, please check out http://www.caringbridge.org/visit/jacktorrey. That was the first seven years of our journey — THIS is the rest of the story. Thanks Andrea. It is kinda strange that I throw all this stuff out there for people to read, but I do feel like it’s finding it’s way to the right people – our ALD community, “special” families, people who want to understand “special” families, good friends of old friends from high school;) I hope our paths cross in person at some point – Jack will give you a magic hug and we can exchange funny stories about Morgan. I’m hoping he’ll make some this weekend. I just hope that I don’t forget where I live!!! Thanks for sharing so glad I found you site again. Of course as always readin about Jack brings tears to my eyes. These boys are strong, I lost my to ALD last year. I found it again they a share from Jennifer Lindsey FB share. I was referred to your account by a wonderful new friend. My son Grady 8, was diagnosed in August at age 7. He got a 10/10 Bone marrow match right away and had his transplant at Boston Children’s. He is doing amazing. No progression from is lose score of 10. In fact his last MRI showed his lesion was a bit smaller. They said they have only seen that once before. His deficit is auditory processing. Our local new did a story on him his week. Just the start of our ball rolling…..
Jillian – I am so glad you reached out. I’ve watched the news story about Grady at least a dozen times. What a great ALD story – IF there is such a thing;) A lose score of 10 and he is doing so well!!!!! I would love to hear more about his diagnosis and details about how you found Dr. Eichler and how Grady is doing. Looks to me like he is doing BEYOND wonderful!!! I hope you don’t mind I shared the news clip on Facebook and a ton of people reshared. It’s so important that we spread the word about our (not so) rare disease. Especially when the stories are positive. Emailing you now!!! I will do anything and everything to help!! Great! I hate this disease but the people are pretty amazing. Welcome to the club;) I will send you a note now.